PilotLinux was a thin client live CD. This means that when you boot from a PilotLinux CD your PC has been temporarily transformed into a thin client machine. If a settings file was supplied booting from a PilotLinux CD will automatically connect you to your terminal server. Otherwise the PilotLinux GUI will be displayed and give you the ability to manually enter the server address. Rate this project A new release candidate of KANOTIX 2006 is now available for download and testing: "Kano has released KANOTIX Easter Edition RC4. The update is available as ISO and as xdelta patches 3 and 4 for Easter Preview RC2. Highlights are: kernel 2.6.16.16; KANOTIX has a patched GRUB configuration that will probably boot of Intel Macs; ISDN works again; NVIDIA drivers are installable in live mode. Known bugs: new artwork isn't finished yet." Read the rest of the release announcement for more information. 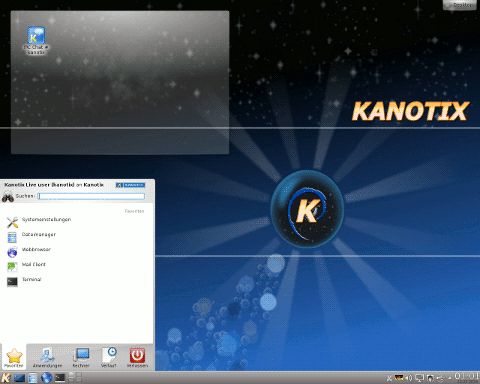 Interested beta testers can download the latest KANOTIX CD image from here: KANOTIX-2006-Easter-RC4.iso (670MB, MD5).